Congratulations to our football team who travelled to AT7 Centre on Thursday 7th February for a tournament with four other schools in our MAT. They had a great time. Not only did they win every game, they did not concede a single goal and so were overall winners! They showed fantastic team spirit and were brilliant ambassadors for our school. Each player was given a special medal in our award assembly the following morning. Well done to Tyler W., Alvin, Liam, Denis, Harry and Faith! Nikki, our sports coach, would like to mention Year 1 and 2's incredible gymnastic achievement on Wednesday 23rd January. Nine children attended a competition between eight other schools in Coventry. They were unbelievable and both Nikki and Miss Taylor were extremely proud of them. Stretton came third, only losing out to Willenhall and Aldermoor Farm by two and three points, so that we are currently sitting fifth in the whole city. A special shout-out goes to Maria who was awarded 10/10 for her floor and beam performances, which (in the judges’ words) is unheard of! Nikki says “It’s great to see the confidence and self-belief the children possessed whilst performing on their own in front of so many judges, teachers and other children”. Fantastic, well done everyone! Y4 swimming lessons started at the beginning of January 2019, with children attending Xcel Leisure Centre every Wednesday. They will now have been grouped according to their ability and we look forward to seeing them progress throughout the spring term. Y3 will take over in the summer term. Stretton children all took part in a fantastic World Cup day on Friday 22nd June, where they had the opportunity to work on team spirit, togetherness and encouragement. The children represented different countries in the World Cup competition and took part in games and different skills against each other. The four skills stations were Messi Maze, Round the world with Ronaldo, Neymar's challenge and Hungry like Harry Kane. Each skills station tested the children's dribbling, passing, shooting, communication and team work. All the children were fantastic and had a brilliant day! They were then allowed to finish their particular session with lifting the 'world cup' before it was flown back to Russia...! Well done Stretton - another incredible event. Nikki Miles. On Wednesday 13th June, to celebrate the start of the football world cup, we held a Fun for Fathers activity session after school. Almost 100 parents came along to take part in Beat the Goalie, penalty shoot-out, craft sessions and pizza eating! Thanks to all who took part and made the event so enjoyable! Our Year 3 and 4 children have been taking part in a project with Wasps Rugby over the last 8 weeks, working on improving the children's knowledge of the 5 core values of rugby: Teamwork, Respect, Integrity, Enjoyment and Discipline.The children have improved their confidence and enthusiasm no end and are now demonstrating the 5 core values in everyday life. Our boys football team had another successful trip to Willenhall Community Primary school last term. They were all fantastic, walked beautifully and played with passion. Whilst they were not winners, there were plenty of goals - Caleb, Frankie and Tyler scored 2, Parker scored 3, while Mason and Liam were superb in goal. Nikki was proud of them all, well done boys! 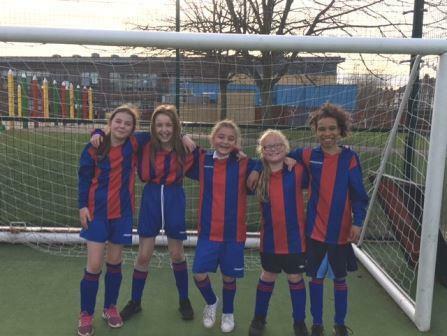 Our girls football team competed in a friendly match against Willenhall Community Primary School last term. Don't they look great in their kit! 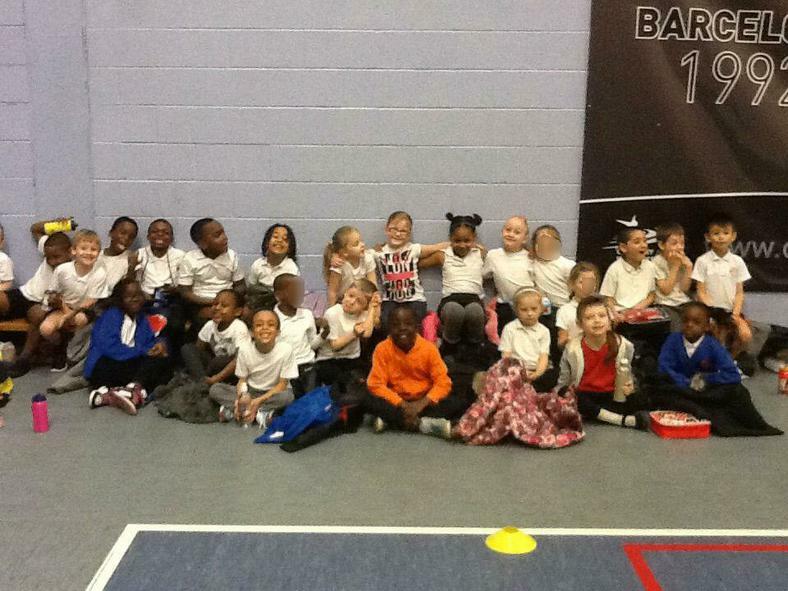 On Tuesday 8th November, a group of 25 children took part in the Sportshall Athletics challenge at The Alan Higgs Centre. The children were fantastic role models and true Stretton ambassadors throughout the morning. They took part in many events such as obstacle race, javelin, long jump, speed bounce, triple jump and 6 by 6 relay. All the children who took part should be extremely proud of themselves, as they showed so much determination and encouraged each other throughout. We even had children achieving 1st and 2nd place in many events, so well done to them. Big congratulations to our Year 6 children who won the local Indoor Athletes Competition in November 2015. Their win allowed them to progress to the finals against the top five schools in Coventry, which is huge achievement for our Stretton children! The final took place at the Alan Higgs Centre on 12th January 2016, where children in Years 5 and 6 took part in 100m sprint, relay races, triple jump, javelin and long jump. The children proved to be great role models and were a credit to their school! On Tuesday 13th October 2015, some staff and families from our school were lucky enough to go and watch an Under 21's football match at the RICOH arena. There was a great atmosphere and England beat Kazakhstan 3:0 so smiles all round! Some photos of Year 3 and 4's last swimming session for this year when they were let loose to have fun! Our Stretton boys footballers played in a tournament in aid of the charity Zoe's Place on Saturday 27th June. They were up against four other school teams and all the boys showed amazing sportsmanship, attitude, teamwork and were superb Stretton ambassadors! They played excellent football, did not concede any goals, scored 10 and went on to win the tournament! Well done, we are proud of you guys! A mention goes out to Year 6 for those who took part in a rounders tournament with other local schools on Thursday 21st May. A big 'well done' to the children on a great and fun day out. They could let their hair down after a week of SATS! On 8th of March, children from years 3,4,5 and 6 were invited by the Wasps rugby team to perform the Ka Mate Hakka at their game against the Saracens. The children had a few practices at school in the week beforehand to prepare themselves and then on the Sunday got kitted up in all black with faces painted ready for the game. The children were so excited and quite overwhelmed by the atmosphere at the stadium! They all became very nervous as they got closer to the pitch, knowing it was nearly their time to perform. .. The children ended up performing their Ka Mate Haka to over 15,000 Wasps and Saracens fans. The children did an outstanding job and were heard all around the ground. The children were so proud of themselves and each other when they had finished! They all did an incredible job and showed great team work, dedication and togetherness. The children then went on to watch the rugby match itself, making loads of music and chants. Unfortunately, Wasps didn't get the result they were looking for, but a fabulous day was had by all the children and their families. Big thank you to all the staff who came along to help out on the day. Please click on the link below to see their performance for yourself! The week leading up to half term, some of our Year 1 and 2 children took part in a multi skills competition at the Alan Higgs centre. They were involved in six different challenges including running, jumping and throwing. The children loved the morning and worked extremely well as a team. They all showed great determination and encouraged each other throughout the morning. They should be extremely proud of themselves, especially as overall they came second out of five schools, which is brilliant! A big well done to all the children involved. We were very lucky to have an amazing visit on Wednesday 14th January from one of the most famous ex-England and Wasps rugby players, Paul Sackey. Paul brought with him the huge Heineken Trophy and came into each classroom to show it and to talk to the children. They got to ask him lots of brilliant questions about his career and about the game, and even had the opportunity to perform the Haka, which he was very impressed with! Paul has really inspired the children, not just with sports, but also in their learning. It was a great pleasure having the opportunity for Paul to join the children. We'd like to thank the Wasps! Over the course of this term, I have seen each child grow in confidence, some really challenging themselves and putting themselves out of their comfort zone. Each and every child should be very proud of themselves! 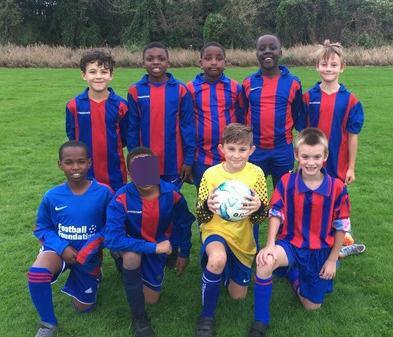 On Monday 17th November, years 5 and 6 took part in a football match against St Bartholomew's and what a brilliant match it was! The boys worked really well together, showing great team spirit. Some great chances were made by the controlled movement of the ball and some excellent passes made. St Barts came out fighting in the second half, did extremely well and it was a great event. On Tuesday 11th November, children from years 5 and 6 took part in the sports-hall athletics competition at the Alan Higgs Centre. The children were excited but a few nerves were showing! 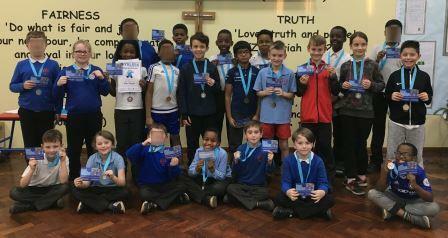 They competed in different events such as obstacle relay, javelin, standing triple jump, speed bounce, relay races, and many more exciting events. The children did themselves proud, either winning or coming second in a lot of their running events. The event on the day ran really well with all schools doing a fantastic job. The Stretton children should be so proud coming second overall, losing out by just 14 points to Wyken Croft. All the children who participated in the event did an outstanding job and were involved in another great sporting event.